Paul Scheer stars and voices the titular Ninja in the series based on the hugely popular web comic “White Ninja” that ran exclusive strips on Cracked.com. The intellectually restricted and, apparently, pain impervious eponymous character was created by Scott Bevan and Kent Earle. The strip has over 1300 comics boasting a fan base that spreads across the globe. Scheer is known for his role as Andre Nowzick on FX’s The League as well as stints on 30 Rock, The Kroll Show and Fresh Off The Boat, Hulu’s Hotwives of Las Vegas and the recent comedy special CrashTest, Scheer is joined by Kathleen Barr (Ed, Edd n’ Eddy, ReBoot. ), Brian Drummond (Inspector Gadget, DragonBallZ), Shannon Chan Kent (Littlest Pet Shop, My Little Pony), and David A. Kaye (Make Way for Noddy, X-Men Evolution) who will lend their voices to a wide world of characters. The series boasts and impressive roster of Vine stars among their team of directors. Brandon Bowen, Jon Paul Piques (Piques), Gabe Erwin, Esa Fung (Esa Fungtastic), Gregor Reynolds (GregorR), and Stewart Reynolds (Brittlestar) will be joined by directors Michelle Ouellet (Afterparty, Hooked on Speedman), Matthew Clarke (Convos With My Two Year Old), Jameson Parker (College Humor’s The Price is Precise) and showrunner Tyler Funk (FTW, Friend Request) who have all come on board to direct a block of episodes for the series. After the initial launch on December 5th the show will roll out three episodes a week on the White Ninja Vine channel – www.vine.co/WhiteNinja. 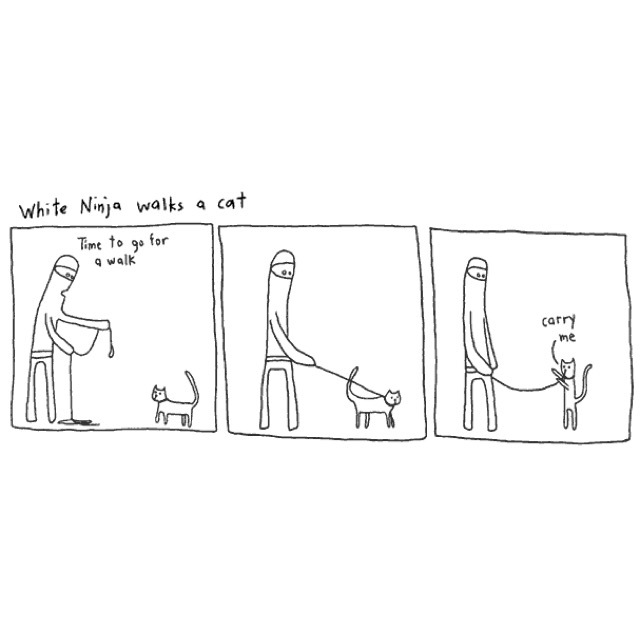 “Our goal has always been to reinvent the Sunday Comic Strip and we are excited to share this newest iteration of White Ninja with the world” said Funk, “we think that the Whistler Film Festival is the best place to introduce this series to the world”. North of Now Films and Whiskaye Films, two Vancouver-based production companies, have teamed up to resurrect the hugely popular web comic. Tyler Funk of North of Now Films is heading up the project as the digital creator and showrunner working with Jameson Parker and David Kaye of Whiskaye Films who are on board as Executive Producers. Multiple award-winning animator Erick Grigorovski is attached to the project as its lead animator, tasked with transporting this minimalistic and quirky world to this new and exciting format. North of Now is a creative production agency based out of Vancouver, BC specializing in digital content. Producing visually inspiring and engaging advertisements we strive to push the envelope, creating new and exciting branded content and capturing the imagination of audiences worldwide. Whiskaye Films is a Vancouver-based film and television production company founded by David Kaye and Jameson Parker. Whiskaye Films strives to develop and produce internationally recognized content that both entertains and matters. This entry was posted in Paul Scheer, White Ninja and tagged BC, blog, Brian Drummond, Canada, David Kaye, Erick Grigorovski, film, Jameson Parker, Kathleen Barr, Kent Earle, Lesley Diana, Make Way for Noddy, North of Now Films, Paul Scheer, PR, press, Scott Bevan, Shannon Chan Kent, social media, television, The Promotion People, Tyler Funk, Vancouver, Vine, Whiskaye Films, White Ninja, X-Men Evolution, YouTube on December 5, 2015 by press. The first narrative series developed for the Vine platform has found its star. 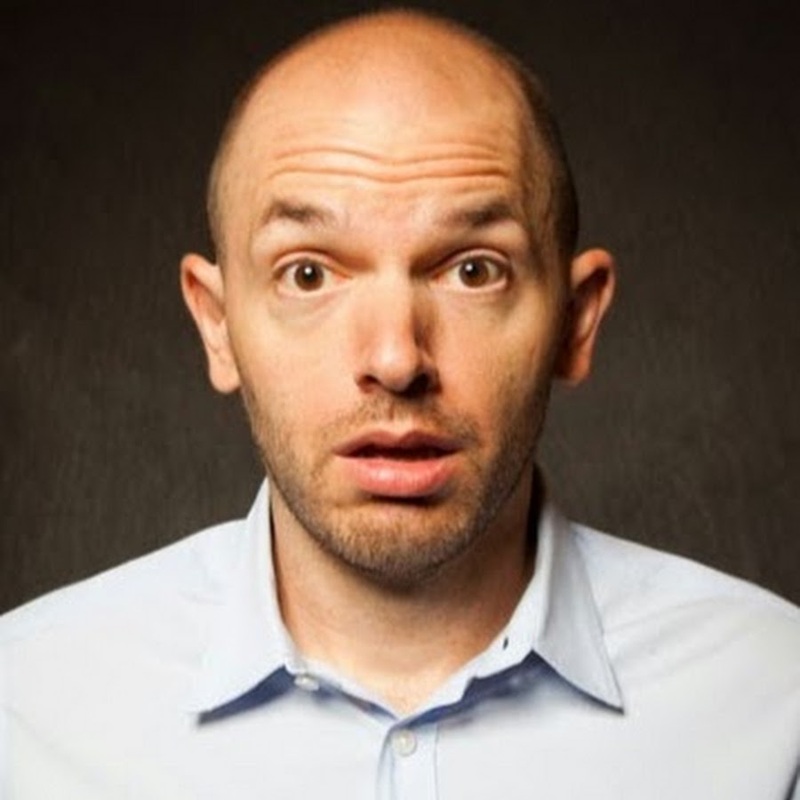 Paul Scheer has signed on, lending his talents to bring new life to the legendary and hilarious White Ninja. The series is based on the hugely popular web comic of the same name that ran exclusive strips on Cracked.com before going on an “official hiatus” on August 14, 2013. Created by Scott Bevan and Kent Earle, the strip has over 1300 comics in it’s archive, boasting a fan base spread across the globe. Scheer, known for his role as Andre Nowzick on FX’s The League as well as stints on 30 Rock, The Kroll Show, Fresh Off The Boat, Hulu’s Hotwives of Las Vegas and the recently released comedy special CrashTest, will voice White Ninja; the intellectually restricted and, apparently, pain impervious eponymous character. Scheer is joined by Kathleen Barr (Ed, Edd n’ Eddy, ReBoot. 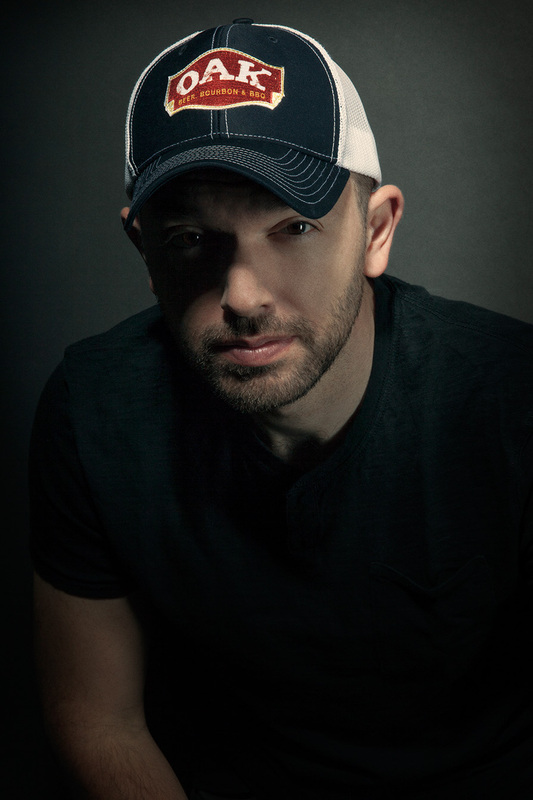 ), Brian Drummond (Inspector Gadget, DragonBallZ), Shannon Chan Kent (Littlest Pet Shop, My Little Pony), and David A. Kaye (Make Way for Noddy, X-Men Evolution) who will lend their voices to a wide world of characters. Scheduled to premiere its first five episodes on December 5th, 2015, the series has also added six of Vine’s biggest stars to it’s roster of directors. Brandon Bowen, Jon Paul Piques (Piques), Gabe Erwin, Esa Fung (Esa Fungtastic), Gregor Reynolds (GregorR), and Stewart Reynolds (Brittlestar) have all come on board to direct a block of episodes for the series. After the initial launch the show will roll out three episodes a week on the White Ninja vine channel – vine.co/WhiteNinja. North of Now Films and Whiskaye Films, two Vancouver-based production companies, have teamed up to resurrect the hugely popular web comic. Tyler Funk of North of Now Films is heading up the project as the creator and showrunner working with Jameson Parker and David Kaye of Whiskaye Films who are on board as Executive Producers. “We are very excited to have Paul joining an already incredible team of creatives” said Parker, “the White Ninja name has attracted an amazing selection of writers and directors for the show including some of the biggest influencers in sketch comedy, stand-up, and the YouTube and Vine world. Paul is a huge comedic talent and the perfect choice to bring White Ninja to life”. A teaser trailer was released to excite fans of the comic ahead of the scheduled summer production commencement. Multiple award-winning animator Erick Grigorovski is attached to the project as its lead animator, tasked with transporting this minimalistic and quirky world to this new and exciting format. This entry was posted in Paul Scheer and tagged BC, blog, Brian Drummond, Canada, David Kaye, Erick Grigorovski, film, Jameson Parker, Kathleen Barr, Kent Earle, Lesley Diana, Make Way for Noddy, North of Now Films, Paul Scheer, PR, press, Scott Bevan, Shannon Chan Kent, social media, television, The Promotion People, Tyler Funk, Vancouver, Vine, Whiskaye Films, White Ninja, X-Men Evolution, YouTube on October 3, 2015 by press.